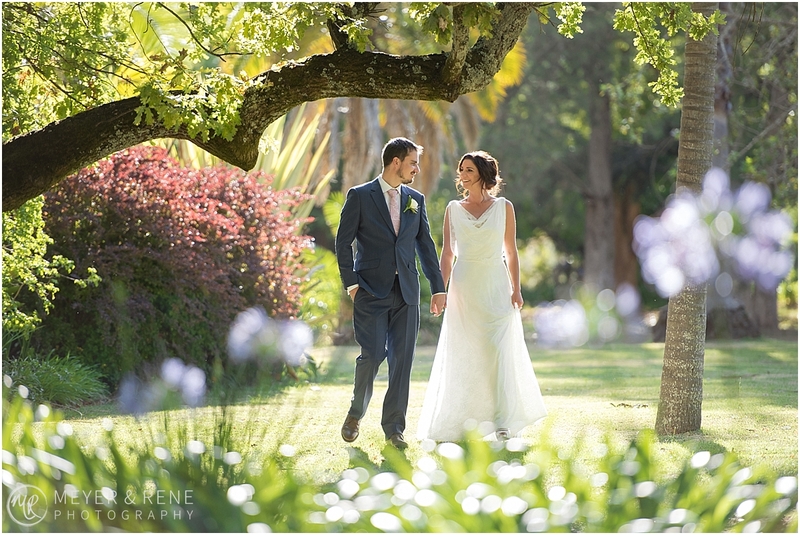 Rene and Andre’s Cape Town wedding was a pleasure to plan. 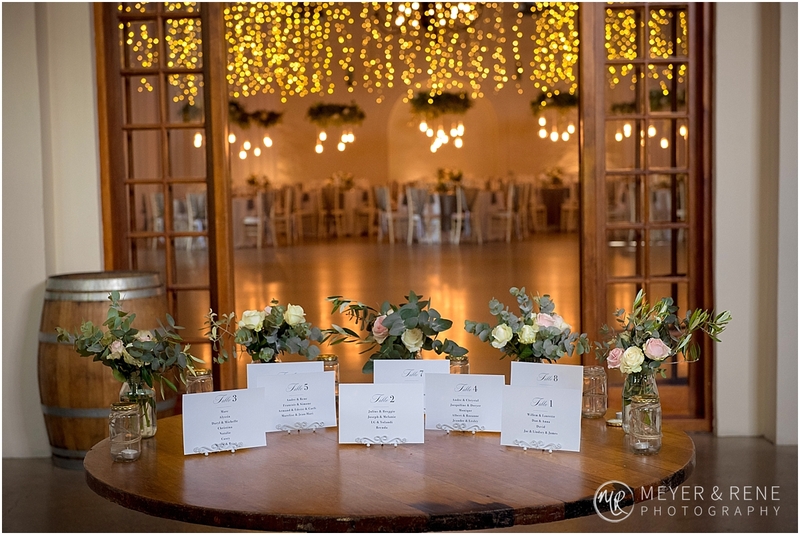 This organised bride liaised with us, her Cape Town wedding planner team at Nicolette Weddings, from her home in the UK to get all the details for the big day sorted. 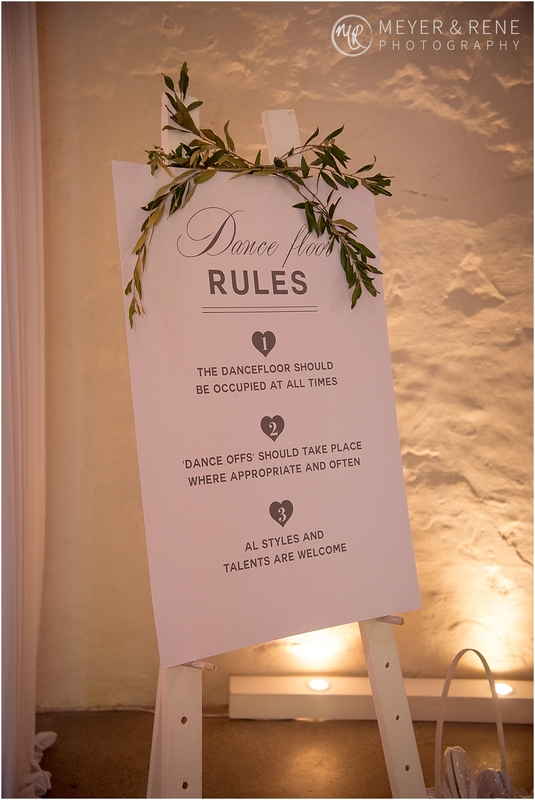 And details there were indeed! 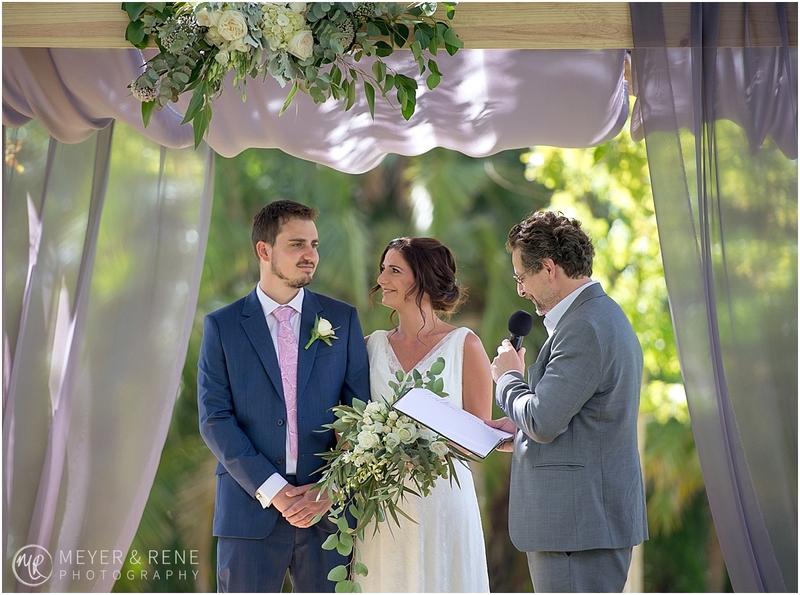 Rene had a clear vision of what she wanted from the beginning and she focused on incorporating many extra detailed elements to make her vision come to life. 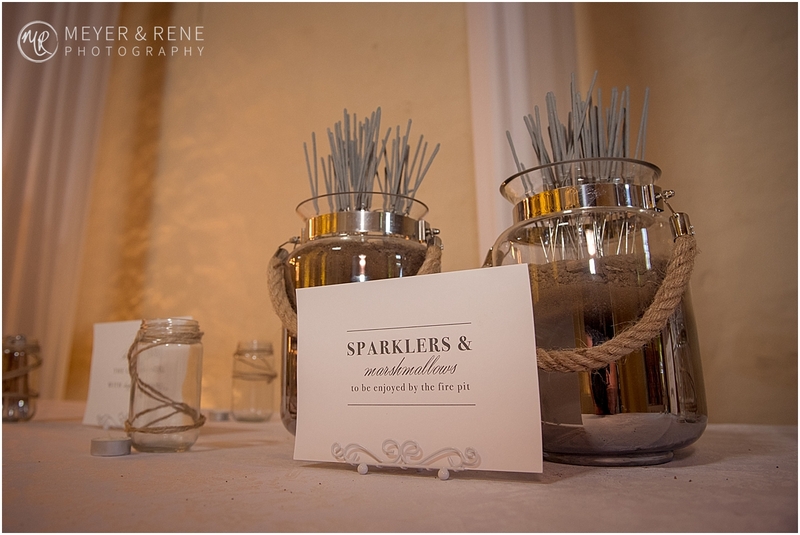 Stunning stationery and special gifts were an important detail of the day and this couple certainly spoilt their guests with thoughtful extra touches. 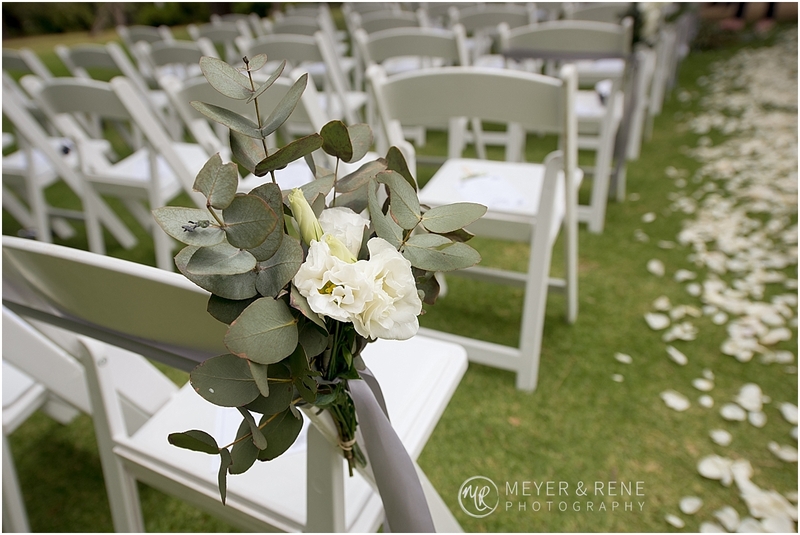 Many of Rene and Andre’s wedding guests were from the UK and travelled to South Africa for the wedding, where they were shown great South African hospitality. 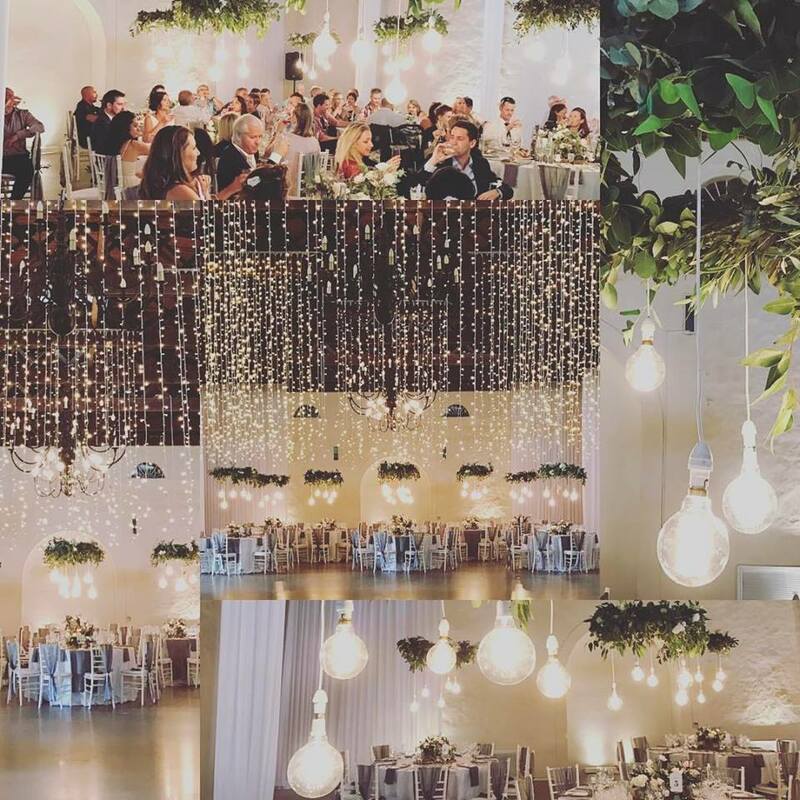 As a Cape Town wedding planner I always feel proud to show off what our beautiful city has to offer visitors and wedding parties. 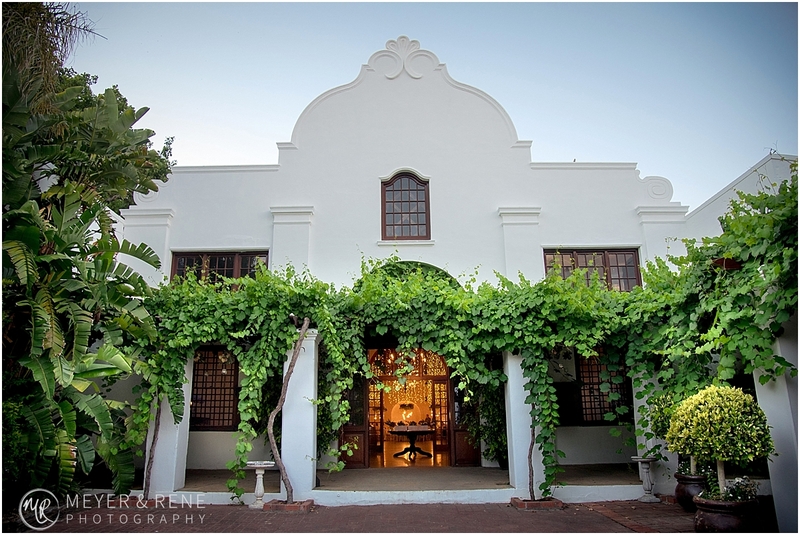 The venue for this wedding was the picturesque Nooitgedacht farm. 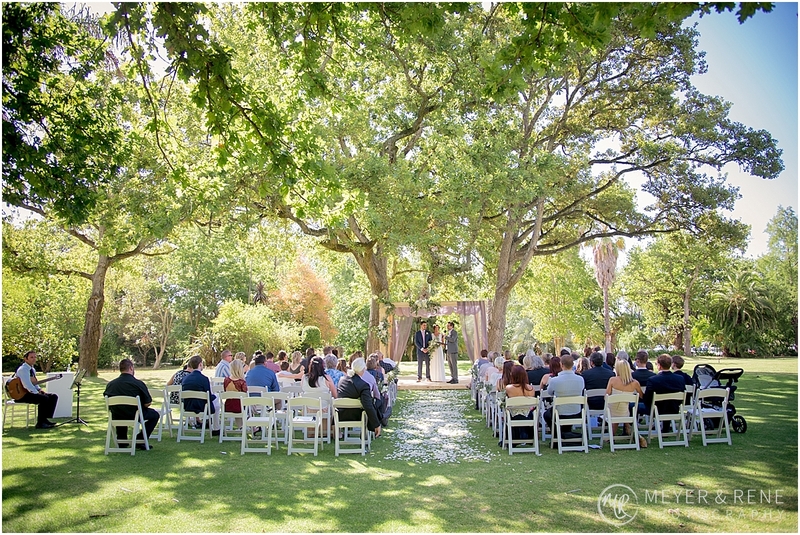 The couple were married outside under the trees on a perfect sunny day. 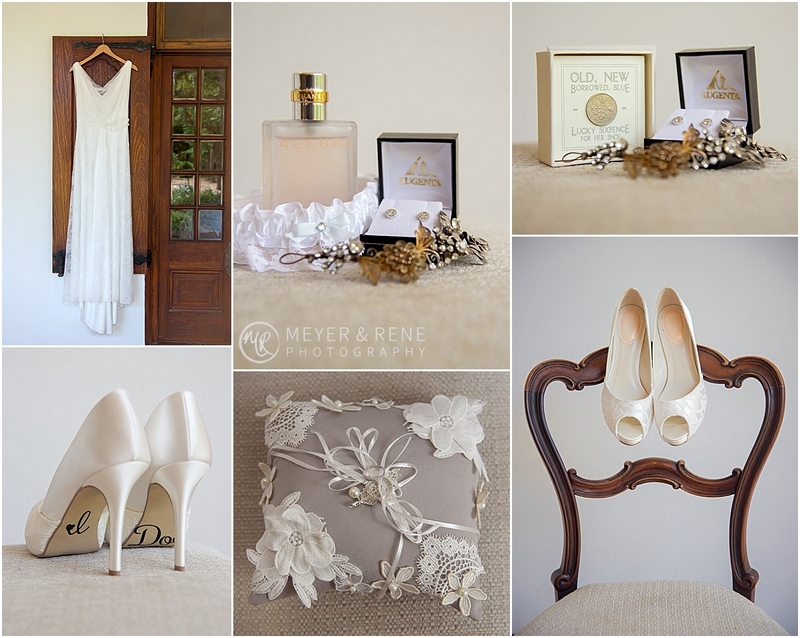 Rene was a classic beauty with soft, natural hair and makeup and a romantic A-line gown. 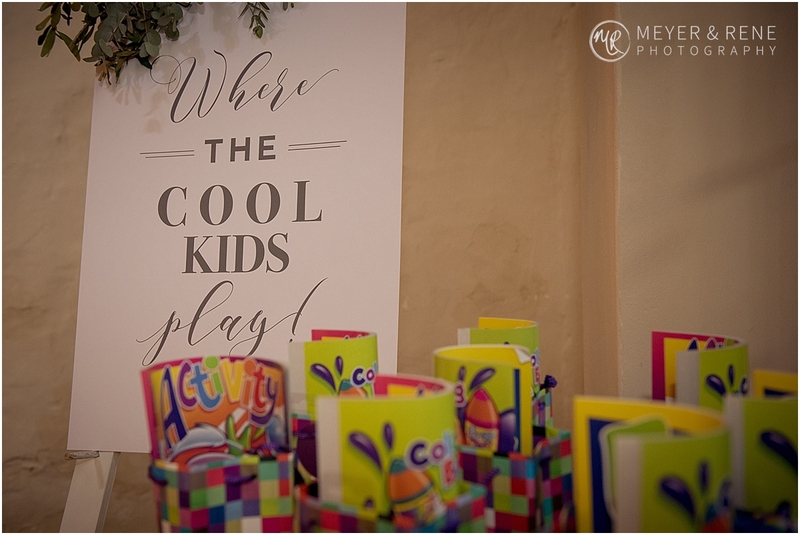 After the ceremony guests enjoyed live music and lawn games while the couple had photographs taken. 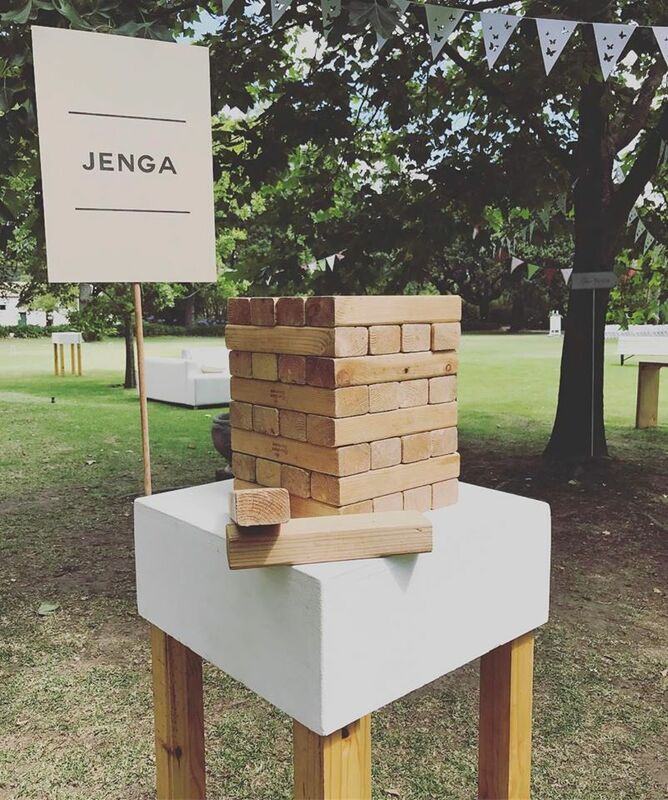 Kids were wonderfully accommodated and entertained with activity kits and giant jenga. 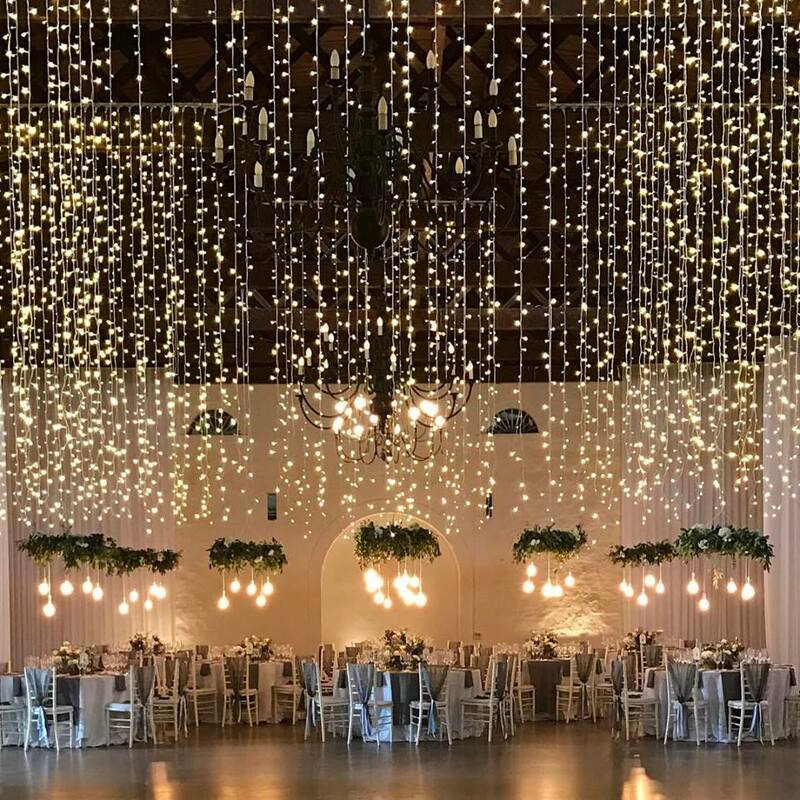 The reception was a truly romantic scene, as hundreds of fairy lights and naked bulbs cascaded down from the roof, filling the venue with twinkling light. 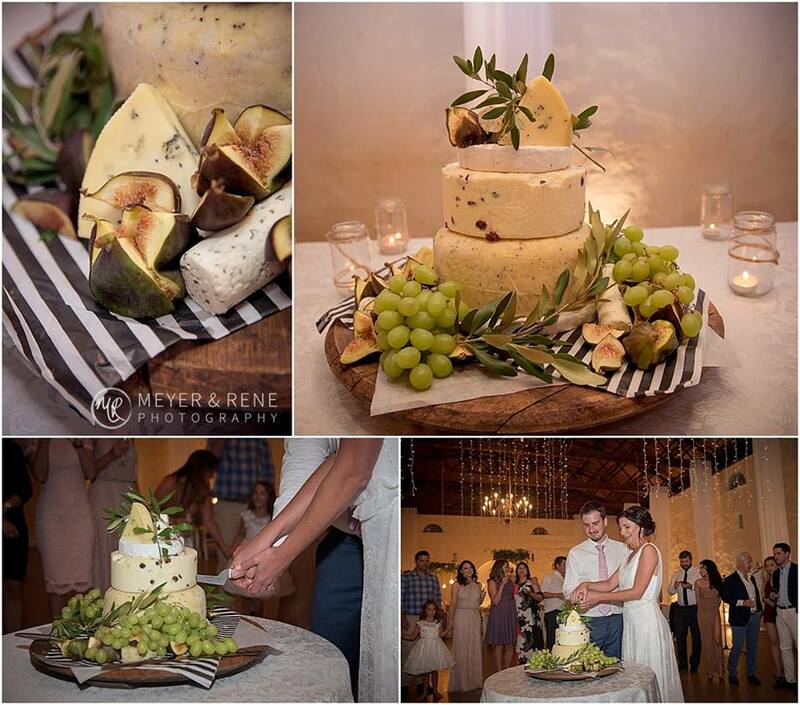 The couple cut the wedding “cake,” which was something savoury – a big tower of cheese. 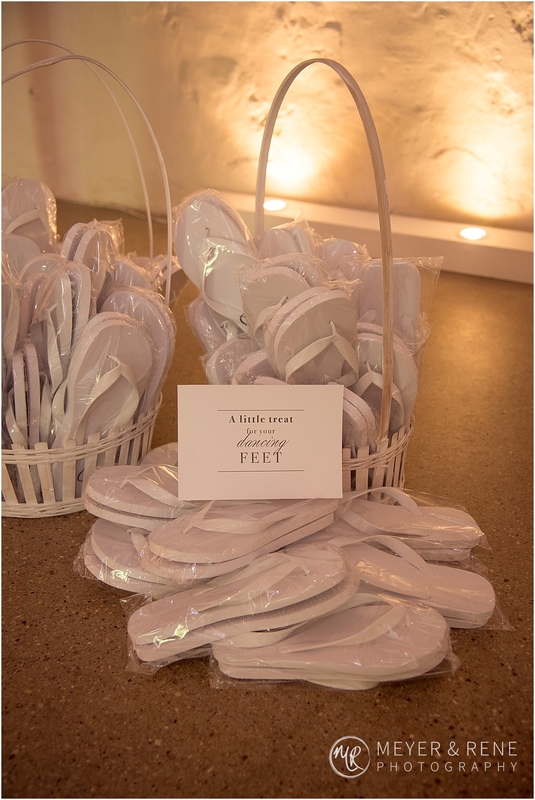 They opened the dance floor with a romantic dance and encouraged guests to stay on the dancefloor all night with their combination of quirky signs and gifted flip flops for those whose feet were getting weary. 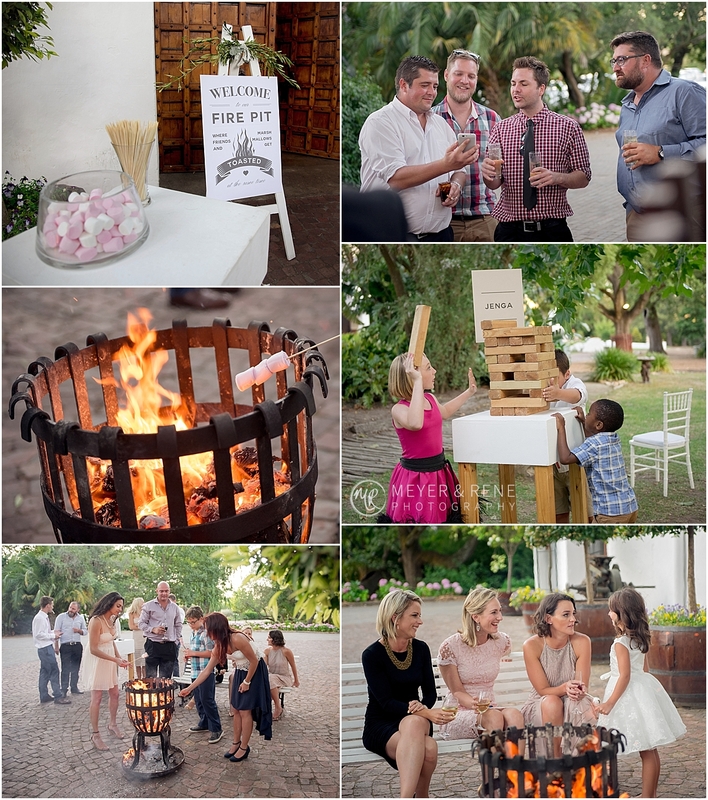 As the evening cooled down wedding guests loved the opportunity to roast marshmallows around toasty firepits. 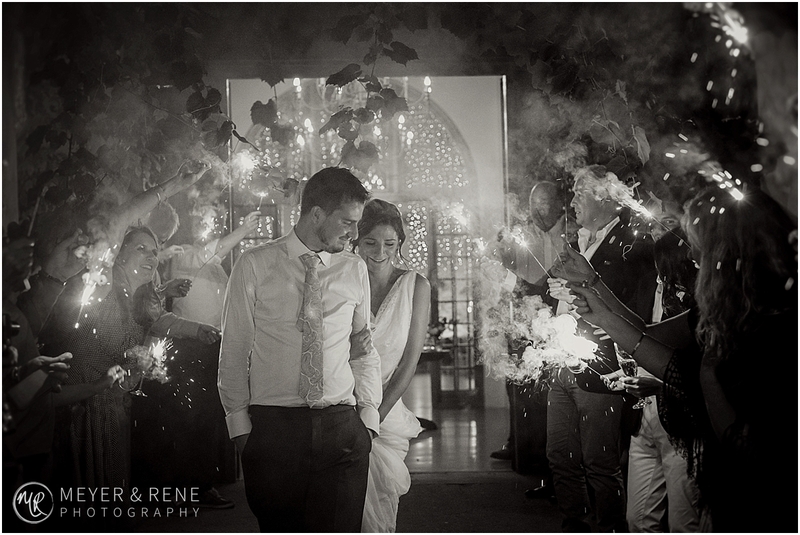 The night ended beautifully with a romantic sparkler send off for the newlyweds. 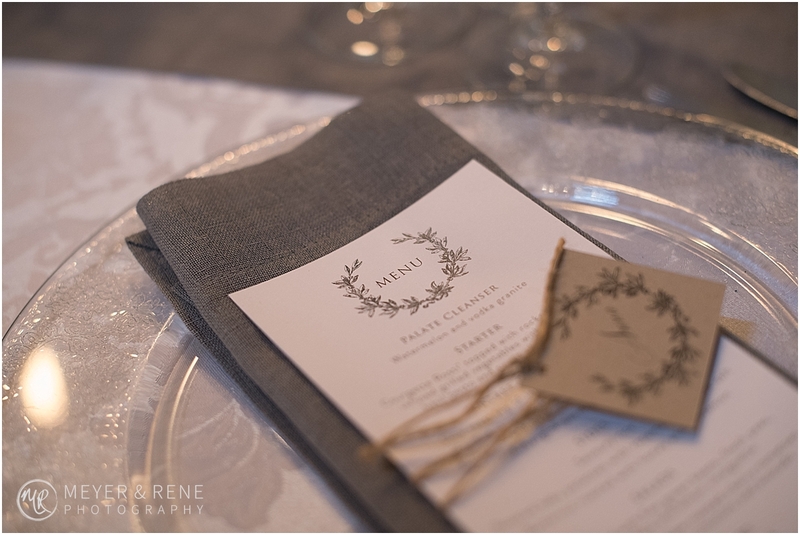 This Cape Town wedding was planned and coordinated by Cape Town Wedding Planner, Nicci Morris of Nicolette Weddings, and photographed by Meyer & Rene Photography. 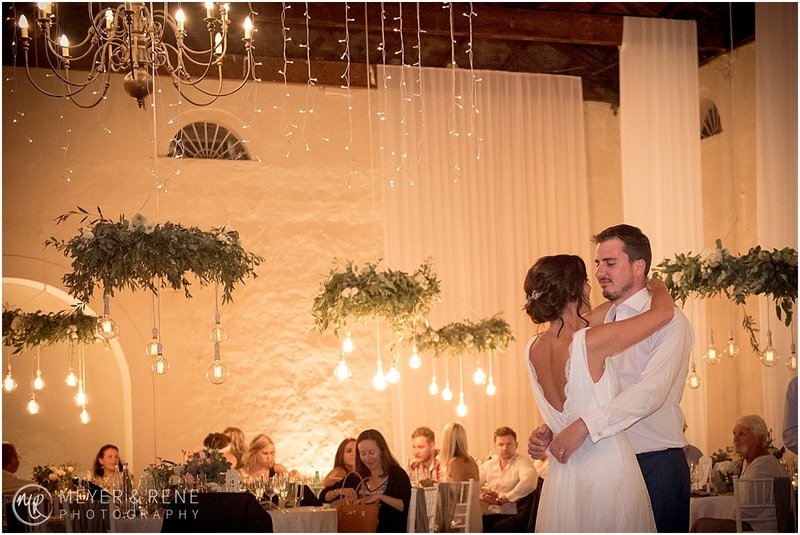 To see this more of this Cape Town wedding’s gallery, please click here, and to get in touch with our Cape Town wedding planner team, please email us by clicking here.